I got Lichdom Battlemage free for some reason, either Humble Bundle, Bundle Stars, Twitch prime, or maybe Steam. 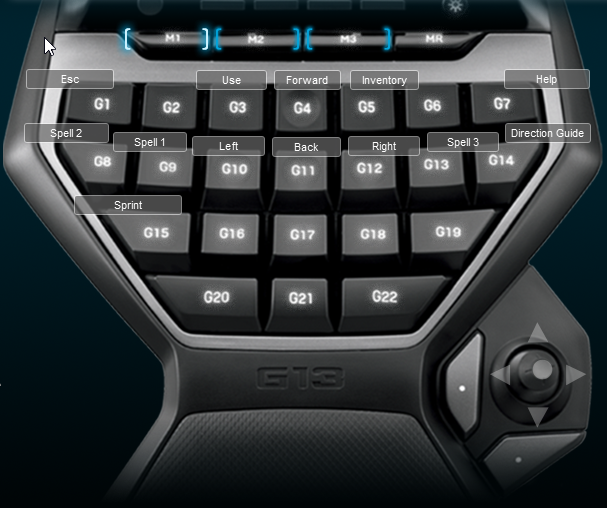 I made a Logitech G13 profile for it because there wasn’t an existing profile, which means I needed one to use the G13. The profile works well and is similar to a typical setup for me. The unique keys are the spells that the game has..